Yuri Jayne Malin, age 81, passed away peacefully Friday, February 1st, at her home in Darby MT, ending a more than decade long battle with Alzheimer's. She was born Jayne Malin Diehl on June 20th 1937 to Conda and Blanche (Malin) Diehl of Mechanicsburg PA, the younger of two sisters. In 1987, she chose to change her name to Yuri, using her Malin as her surname. She spent much of her childhood in books, learning of other countries and cultures and laying the foundation of a lifetime of exploration and learning. After graduating from Cornell University in 1959, Jayne went to Japan. She knew no Japanese, but could not pass up the opportunity to experience another country. For five years she immersed herself in the culture of Japan and Korea, becoming fluent in Japanese and a professor of Ikebana (the Japanese art of flower arranging). The cultures of East Asia influenced the rest of her life. Upon return to Mechanicsburg in 1966, she put her brilliant mind to the field of Computer Programming. Discovering she both had an aptitude and enjoyed it, she spent the rest of her professional life as a Programmer and Systems Analyst. She also continued to study Japanese, Chinese, and a myriad of esoteric subjects from astrology to ancient Hindu scriptures and Native American shamanism, vegetarian cooking and gardening. She also travelled.... back to Japan and Korea, off the beaten paths of India and Nepal, and several Mediterranean and European destinations. She always regretted that she was not able to visit China after the borders opened in 1978. In her quest for spiritual and educational growth, she stumbled upon the Bitterroot Valley in the mid '90s. Falling in love with the majesty and energy of the Valley, she moved here in 1998. Yuri's final 20 years were spent on what she called her “little slice of heaven” in Darby. She filled her time with hiking and exploring the beauty of the area. A member of the local Garden Club, she enjoyed researching plants, planning for and planting her gardens. She also enjoyed reading the many books she collected and her Time and gardening magazines. She continued her education through audiotapes and books, focusing on history and religion. She also enjoyed playing the piano and her guitar, and interacting with her five cats. She is survived by her daughter Kim (Reil Lawrence) Viramontes, Kim's stepbrothers Ronald Lawrence Jr., Eric (Angie) Lawrence, and Aaron Lawrence, a plethora of step-grandkids and four great grandchildren. Although preceded in death by her sister Barbara (Diehl) Bonfe, her cherished brother-in-law Albert Bonfe, nephew Robert (Vanessa) Bonfe, nieces Michelle Bonfe and Marcie (Brian) Mathews, her great nephew and nieces, and many other well-loved limbs of the Bonfe branch of the family remain. She is also survived by her beloved 'Evil Twin' cousin, Rolf “Ulf” Ernst. All who wish to celebrate how their lives were touched by Yuri, and bid farewell to her, are invited to her funeral which will be held on Friday, February 8, 2019 at Daly Leach Chapel at 3:00 PM. In lieu of flowers, memorials may be made in Yuri's name to MDMH Hospice at 1200 Westwood Dr. Hamilton, Montana 59840. 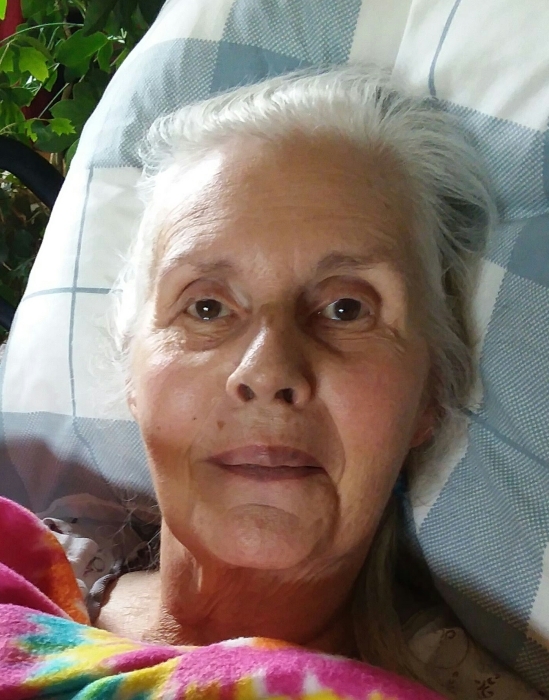 Yuri's family would like to express their gratitude, for without the warm, caring help of the MDMH Hospice family, she would not have been able to spend her final 10 months at home.